3.) [+247][-22] They're both groups that I like! ♡♡ Fighting!! 12.) 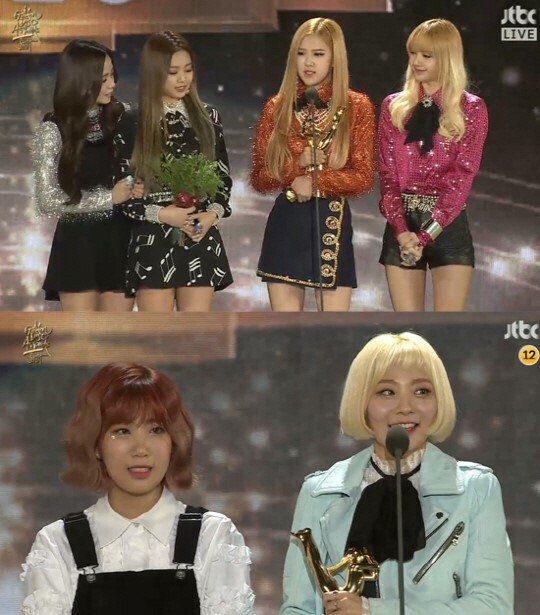 [+90][-12] Congrats to both groups and become even greater from now on! 13.) [+103][-17] Blackpink, Bolbbagan4 congrats!!! 15.) [+71][-7] I just listened to Blackpink's songs and thought they were good but after watching their performance for the first time today...wow~~~ made me wonder if they're really rookies. I became a fan today. The baby-like cuteness during the award speech was an unexpected charming point since it's different from the image they portray on stage.